In spite of having some world class sights, Milan is not a tourist city and the hotel scene reflects this. About 80 per cent of the Italian HQs of international companies are based here or in the immediate surrounding area, so it stands to reason that the best places to stay in Milan are geared towards executives travelling on high end expense accounts. 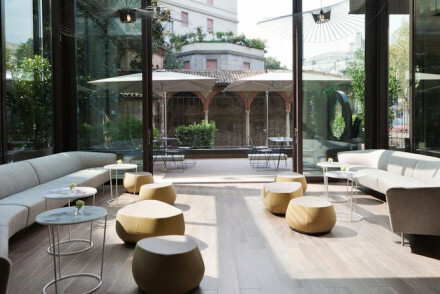 Then there's the fashion industry, of which Milan is a world centre, so the fashionistas flock to some of the coolest hotels with the sharpest design in the country. Whilst these may undeniably be the best places to stay in Milan, they are also some of the most expensive. This has negative repercussions for tourists, especially if you want to avoid large, outrageously expensive, corporate-style hotels, however hip they may be. Milan isn’t considered as beautiful as other Italian centres. It was heavily bombed during WW2 and rebuilt itself more as a commercial centre than a historic beauty - it’s shiny and elegant, but it isn’t romantic looking. No, what makes Milan a desirable place to be is that this city is really all about enjoying oneself. If you enjoy food, shopping, opera, fashion, football and nightlife then Milan is for you. It’s not without treasures, though, La Scala is a stunner, as is the Duomo, one of the largest and most impressive Gothic cathedrals in the world and the Galleria Vittorio Emanuele is probably the world’s most beautiful shopping arcade. Milan is also home to Leonardo da Vinci’s The Last Supper which can be seen in the Renaissance architectural masterpiece the Cheisa di Santa Maria della Grazie (Saint Mary of the Graces Basilica). Francesco Hayez’s The Kiss, is in the Brera Museum among numerous Italian Renaissance and Baroque treasures. The Palazzo Reale is both interesting and beautiful, the Cimitero Monumentale is one of the world’s most impressive Art Nouveau/ Liberty museums in the world. Arguably the most beautiful cemetery in the world and the Cinque Vie, Milan’s most ancient part, is rife with wonderfully preserved Roman archaeological sites. This is really just the tip of iceberg when it comes to graceful palazzos, elegant piazzas and ornately wonderful churches. Expect Art Deco as well as rationalist architecture, great art in every museum and great design on every corner and in every cafe. The city of Milan has the second highest number of Michelin stars in Italy so perfect for foodies. 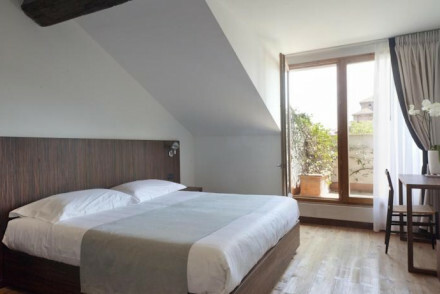 While bargains in this city are thin on the ground, a handful of the best places to stay in Milan are delightful small hotels where it's not de rigeur to be dressed in head-to-toe black Prada crowned with a massive pair of dark glasses; we have listed our favourites below. 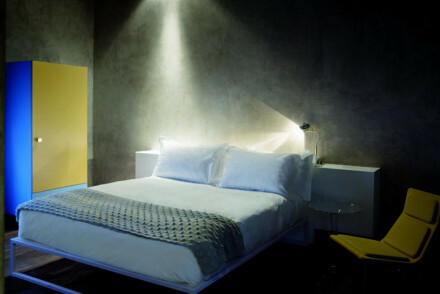 Straf was declared Italy's most avant-garde hotel when it opened is still creating a stir today. Come here to rub shoulders with the fashionistas, designers et al who love the interiors where rough slate sit alongside burnished brass, iron and concrete. Bulgari is more about understated glamour. Here the emphasis is on chic sophistication. Plus it's the only hotel within the city walls to boast a garden. A sensational spa and great food complete the picture. 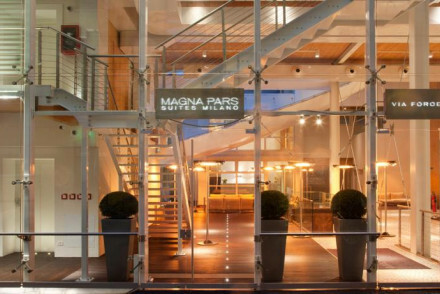 If you want to experience life as a fashion model or designer stay at the Magna Pars Suites, a collection of 39 rooms and suites in a beautifully converted perfume factory in the heart of the design district. The Hotel Viu is a five-star hotel on the Chinatown, Port Volta border. There are 124 contemporary design heavy rooms and a trendy vertical garden. The roof terrace is something else, as is the Mixology Bar. 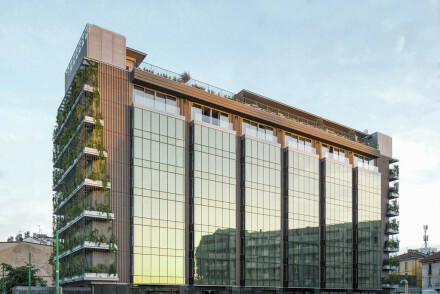 Close to the central station, the Lagare Hotel is a glass pillar, rising from a basement spa to the roof terrace which overlooks the Port Nuova district. There are 141 slickly designed rooms in muted colours. 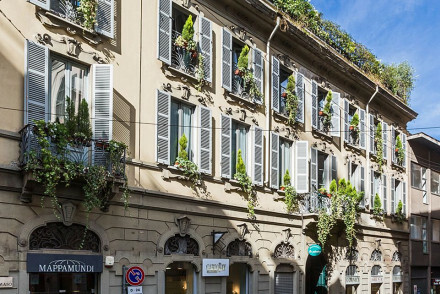 If you're looking for luxury but prefer it on the tradition end of the scale, then some of the best places to stay in Milan are definitely for you! Grand Hotel et de Milan would be a top choice. This "grand dame" exudes bags of character and luxury - think rich fabrics, antiques and fine art on the walls. 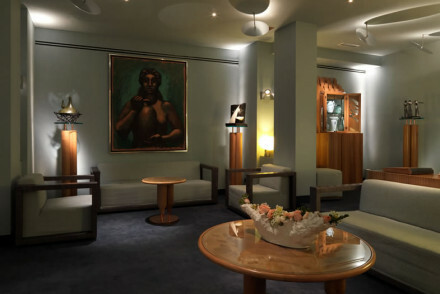 It is only a stone's throw from La Scala so ideal for opera buffs. Lavish and grandiose, the Principe di Savoia is a five-star hotel with 301 opulent rooms and suites, a spa, heated indoor pool, a choice of restaurants and all the trimmings. 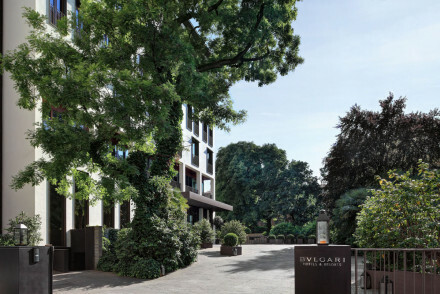 Four Seasons Milan Whilst we don't normally endorse big chain offerings, the Four Seasons Milan offers discreet luxury in a converted 15th century monastery featuring cloisters and a lovely garden. Gourmet restaurant. Great location for an extravagant shopping trip! It would appear that the builders here have been busy and plenty of the best places to stay in Milan can be found in converted townhouses, which in the olden days would have been home to affluent merchants or the local gentry. Town House 31 is a prime example. 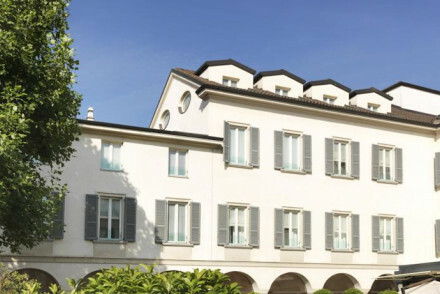 It occupies what was once a 19th century bourgeoise palazzo and now represents an elegant home from home. Interiors are mainly cream with brown hints, accessorised with Oriental and African artefacts. Alle Meraviglie occupies the house next to its sister property Antica Locanda dei Mercanti. Both enjoy a fantastic central location and offer fresh and contemporary yet country style bedrooms with crisp white linens and wooden floors. Right in the heart of Milan, not far from the cathedral, is the Petit Palais, an 18 room, 17th century townhouse with chandeliers, tapestries, parquet floors and period furnishings. Great value beauty. With ever increasing demand for less expensive accommodation, some of the best are the great selection of boutique guesthouses. Yet all of our selections can compete with the bigger hotels easily in terms of location, quality and service. Antica Locanda Leonardo is located in the old part of the city. This charming family run establishment offers comfortable bedrooms and lovely courtyard garden a stone's throw from Leonardo's Cenacolo. Antica Locanda Solferino is a boutique guesthouse which oozes old world charm. Come here for rooms stuffed with antiques, a superb location and a real taste of old Milan. 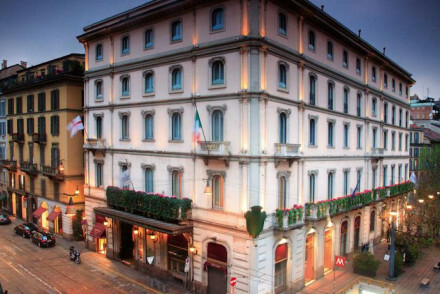 The Palazzo Parigi is a classically grand Italian hotel in Brera, one of Milan’s most fashionable districts. There are 98 large, light rooms with spectacular city views and two elegant restaurants. The Chateau Monfort is a five-star, fairytale themed hotel jus s short walk from the Piazza San Babila and Milan’s famous designer boutiques. Expect period features, an elegant wine bar and classic Italian cuisine. This is the kind of hotel in which to take afternoon tea. 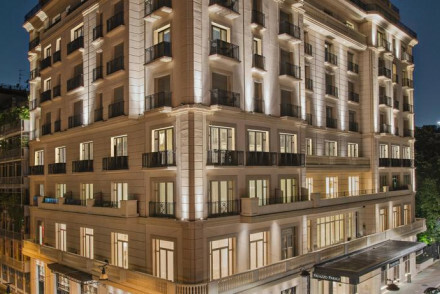 Milano Scala is a 62 room contemporary hotel on a traditional Milanese palazzo with plush furnishings, parquet floors, private balconies and splashes of modern art. Hip, contemporary and central, The Gray is a 21 room boutique-stye hotel with private gyms, a choice of Turkish baths or jacuzzis and great food. 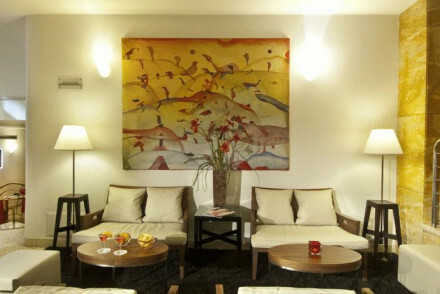 The Hotel Spadari al Duomo is a contemporary hotel well located for the Duomo, La Scala and the Fashion District. There are 40 design conscious rooms and suites. 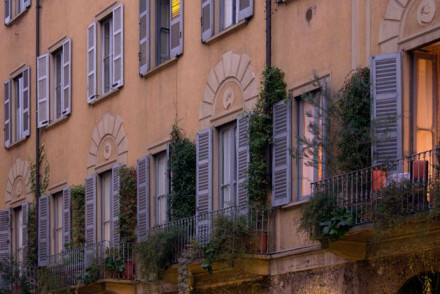 Just steps from the fashion district, the 18 sophisticated rooms of the Palazzo Segreti are a stunning pleasure. And close to both the best restaurants and some fantastic local sights. Centrally located and simply decorated, the Hotel Ariston is a stylish business hotel which is also great value for anyone looking for form and function in a great spot. Even at the most affordable end of the scale, Milan offers style and detail. Home BB is a two room contemporary hotel with quirky features, a pillow menu and a choice of bathroom linen. They do an excellent in-room breakfast and it all starts from around £80 per night. My Bed is a stylish option in the heart of Milan. There are just 12 spacious rooms, simply decorated, with a private balcony. You’re perfectly located for the best bars, cafes, shops and restaurants and rooms start from around £105 per night. Casa Titta is like the home of a stylish and world friend who has four individually designed rooms furnished with period pieces. There’s a delicious breakfast included in the price - which is around £90 per night. Hello Milano is a modern B&B in Marghera with four colourful guest rooms and ornate murals, big bathrooms and bright furnishings. Rooms start from around £95 per night. 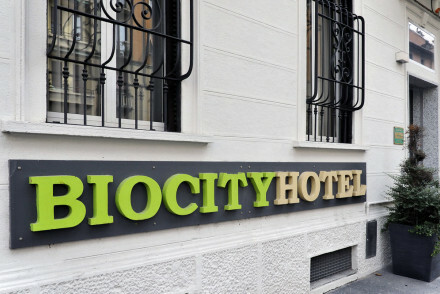 Biocity has been converted from a 1920s building and offers 17 modern rooms, a sauna, and a sunny courtyard. Rooms are around £100 per night and you’re close to the Metro Lines 3. Milan has two airports, Malpensa and Linate. Malpensa is the main international hub and Terminal 2 is the largest continental base for Easyjet. While Linate is only seven kilometres from the centre of town. You can also arrive in Milan on the train from Turin, Venice, Naples, Rome, Florence, Zurich, Pairs, Barcelona, Vienna, Geneva etc.. Bearing in mind that most places, tourist destinations included, are closed Mondays, and that Milan shuts up shop for much of August, this is a city you can visit pretty much all year round. Summer is hot, Christmas is bustling and charming, and spring and autumn are times when locals are busy with work, so you’ll mostly see visitors on the streets. During the fashion festivals Milan heaves. April, May, September and October are probably the best months to visit if you’re looking for pleasant weather and small queues. Consider staying in Como on Lake Como? Which is 50minutes from the centre of Milan? Or Monza, home of the Italian Grand Prix and just 10 minutes by train? 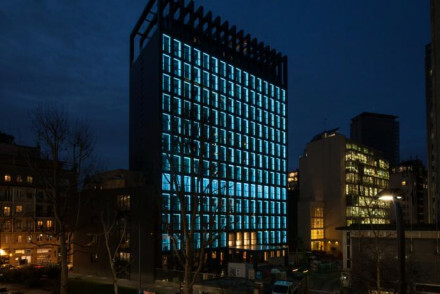 A contemporary hotel, with a superb location and great views of the city. Rooms are uniquely designed with quirky features such as blackboards or book exchange facilities. Other cool features include a pillow menu and a choice of bathroom linen whilst booking. An excellent breakfast served in room. Value chic - Fantastic value for money for its super central location, easy connectivity, and ultra chic interiors. Local markets - There are many shops, restaurants, bars and cafes to check out. A stay at bijou Casa Titta is like being welcomed into the home of a stylish and worldly friend. Four individually designed rooms furnished with period pieces and delicious breakfast included in the price. Perfect for solo travellers or couples wanting to experience an up-and-coming area of Milan. Value chic - With rooms from €100 per night including breakfast, this is great value for money. Modern B&B in Marghera area of Milan. Guestrooms have colourful details, ornate murals, bright furnishings and big bathrooms. Light-filled breakfast room and friendly staff to help plan your daily excursions. A great value stay in a central part of town. 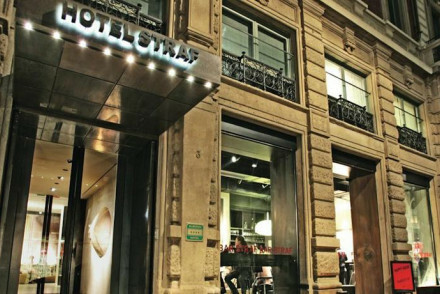 This stylish, comfortable hotel is the perfect choice for shopaholics, sheltered just behind the Corso Buenos Aires, one of the busiest shopping streets in Milan. Contemporary rooms and suites with rich furnishings & many with a private terrace. A good value choice for a city break. Eco-city hotel in a 1920s building. Modern rooms are pristine and stylish with big bathrooms. Courtyard outside to enjoy an apertif, and sunny breakfast room. Sauna and small shop selling organic products. Very good value and well located to explore both the city and region. Stylish, incredibly good value accommodation in the heart of Milan. Rooms are spacious, clean and simple - some with private balconies. Parking is available close by. A fantastic choice for those looking to get out and sample the city's many restaurants, bars and shops. A good base for a city break. 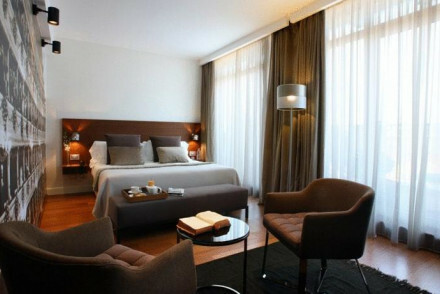 Value chic - My Bed offers affordable luxury in the heart of the city, with doubles fr only €119. 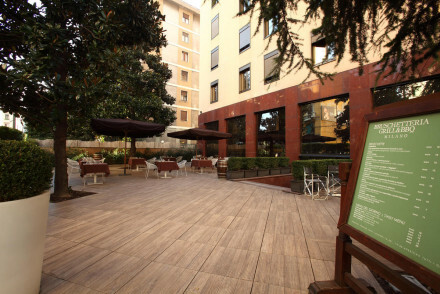 A classy, modern hotel on the edge of Milan city centre. The rooms are chic and stylishly appointed with minimalist furnishings. Downstairs enjoy cocktails on the terrace before venturing out into the hotel's lively surrounding area. The perfect place for a weekend away in Milan. City Style - A stylish hotel in one of Milan's trendy districts, within walking distance of nightlife hotspots and fashionable boutiques. 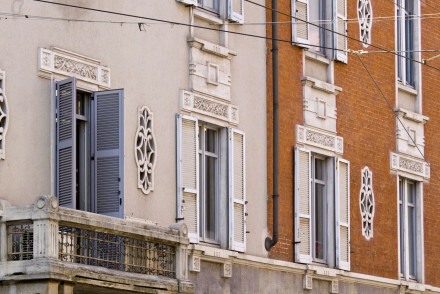 Local exploring - Perfect for exploring the sights of Milan, either on foot or on a bike. Sights nearby - Culture vultures must visit the many city centre attractions such as Sforzesco Castle. An arty little guesthouse with bags of character in Milan's trendy boho area. Rooms filled with country antiques, art nouveau pieces and a genuine taste of old Milan. Breakfasts served in the rooms. An excellent city spot with lots of old world charm. Local exploring - A charming hotel with quaint antique decor, situated in the heart of Milan's artistic Brera district, a hub of local talent. Great walks - Wander around the trendy and artistic Brera district and discover the boutiques, galleries and studios that litter her streets. Sights nearby - A number of sights including the Piazza Duomo, the Sforza Castle garden and Porta Venezia garden are within walking distance. 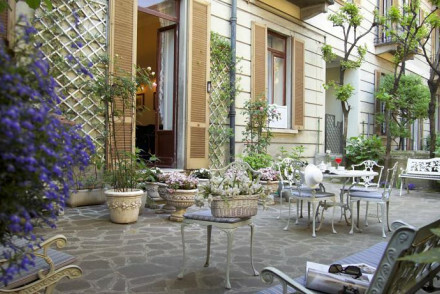 This pristine family-run guesthouse has a pretty courtyard garden in Milan's old quarter. Comfortable rooms showcase polished wooden floors and antique wood furniture, some overlooking the garden. The triple suite is a good choice for families. An intimate stay and great value city spot. Value chic - A reasonably priced warm and homely hotel, in prime location, featuring pretty courtyard and stylsih interiors. Sights nearby - Church of Santa Maria delle Grazie, home to Leonardo da Vinci's 'The Last Supper', is within 5 minutes walk. 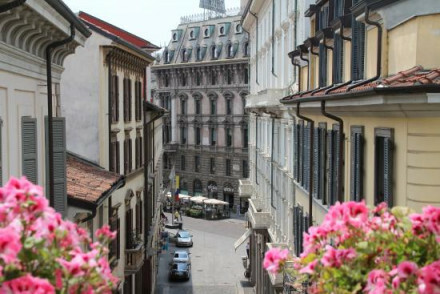 Great walks - Explore Milan's old quarter on foot, discover hidden jems and historic architecture. Centrally located, simply decorated, and equipped with all the modern conveniences needed for a trip to Milan. Suitable for business visitors, tourists or groups looking for something cheaper and more functional. A space of tranquility within the bustling city. With a strong emphasis on sustainability the design is inspired by nature and focuses on green open spaces. Chic rooms with simple light hues, large windows and uber modern bathrooms. Organic food served within a vegetable garden. City bliss. Eco break - A chic eco hotel filled with natural furnishings, green spaces, energy efficienct technology and solar electricity. Sights nearby - Visit the striking Milan Cathedral, within walking distance of the hotel. Right in the heart of Milan, not far from the cathedral, art museums and the prestigious shopping quarter - come here for a luxurious, marble-laden city break. All 18 rooms are uniquely decorated in this 17th century townhouse with chandeliers, tapestries, parquet floors and period furniture. 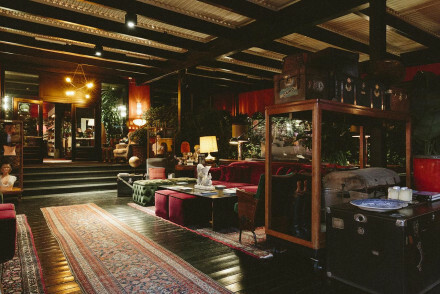 Swish and sophisticated, The Yard is perfect for people looking for a hip spot to bed down in Milan. A retro sports theme runs throughout the hotel's design. Offering luxurious rooms, two excellent restaurants and a lively bar, it's a great launchpad for a trip to the city. Sights nearby - No trip to Milan would be complete without visiting the Duomo. Local markets - Browse the bustling nearby Municipal Market. Newly converted townhouse with pretty, reasonably priced rooms. Comfortable rooms are decked in cream colour schemes with silk curtains, crisp bed linen, fresh flowers and wooden floors. Enjoy the complimentary breakfast before setting out on the town. An elegant choice to explore Milan from. Value chic - Superb price for what you get- beautiful 18th Century building, chic interiors plus large airy rooms overlooking a courtyard. Local exploring - The hotel sits in the artistic heart of the city- the Brera district is young and vibrant, full of artists and bohemians. Sights nearby - Less than five minutes walk brings you to two of Milans most renowned buildings- the Duomo and Sforzesco Castle. A smart new hotel convenient for Milan’s Central station. It boasts a basement spa and roof-top terrace with views across the Porta Nuova district. Slickly designed rooms in muted colours make an ideal base for either the business traveller or tourist. Value chic - Great value for beautiful hotel- light and airy rooms with fresh seasonal flowers, right in the centre of the Old City. 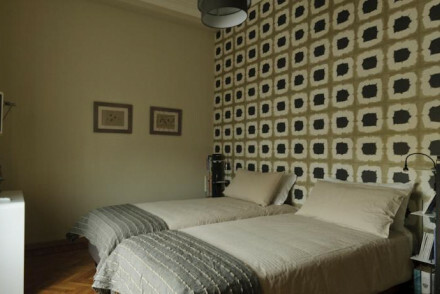 Sights nearby - Right in the heart of old Milan, you are within walking distance of Castello Sforzesco and the Duomo. 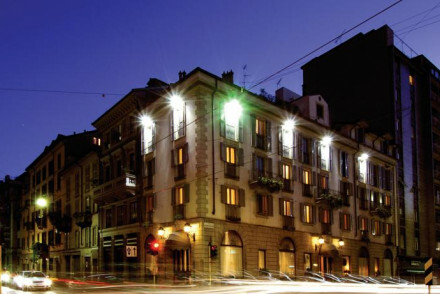 A contemporary hotel a few steps from the Duomo, the Fashion District and the Teatro alla Scala. Rooms and suites in pastel colours dotted with modern art and high tech gadgetry. A good choice for those with a design conscience. 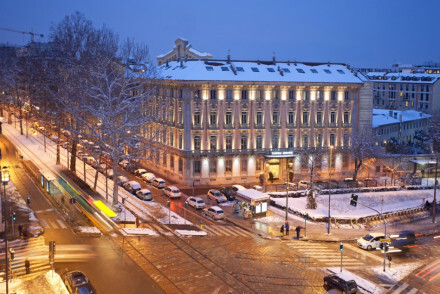 Five Star opulent fairytale themed hotel just a short walk from the Piazza San Babila and Milan's famous designer shops. Elegant period features blend with 21st century luxury. Afternoon tea is a speciality. Cocktail bar, elegant wine bar and classic Italian cuisine. Lavish, grandiose, and Five Star to the hilt. Rooms and suites with opulent fabrics and furnishings, terraces, restaurants, spa, meeting rooms, and more. For those with deep pockets and an eye for detail. Sights nearby - A free shuttle service wherever you want to go ensures that everything is close by! The 5* Hotel Viu, is set in Chinatown bordering the hip Porta Volta. Contemporary designer accommodation featuring marble bathrooms and a trendy vertical garden. Grab a drink at the Mixology Bar and be sure to watch the sunset on their rooftop terrace! Gourmet cuisine served at the restaurant. City Style - From the lush vertical garden, to the stunning rooftop pool (the only one in milan) this hotel oozes eco glitz and glamour! 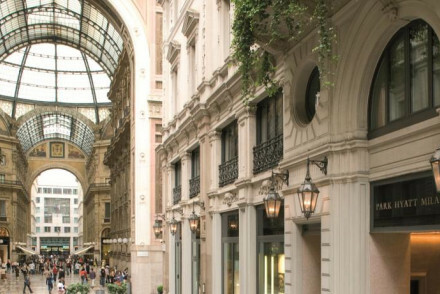 Just steps away from Milan's fashion district, this is ancient Italy meeting sophisticated modern elegance. The stunning lighting and large, comfortable rooms create a calm ambience. This intimate hotel is the perfect choice for those interested in luxury shopping, and excellent Italian restaurants. 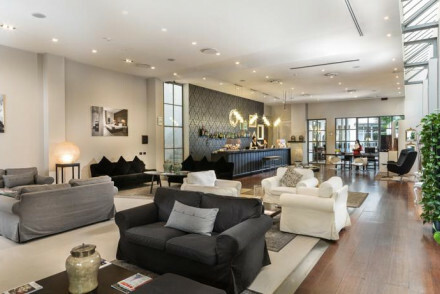 Experience what life might be like for a fashion model or designer with a stay in these high-end suites in a converted perfume factory in the heart of Milan’s design district. Chic all white interiors offset by sofas in primary colours. A fashionistas dream come true! A large contemporary hotel in a traditional Milanese palazzo. Rooms and suites have plush furnishings, parquet floors, splashes of modern art, and private balconies overlooking the inner courtyard. Excellent restaurants, terraces, meeting rooms and wellness centre cater to just about any city visit. Hip, contemporary boutique hotel with a sense of fun in a central location. Neutral colours with splashes of bold colour bedeck the interiors. The bedrooms feature white ostrich leather, crocodile, steel and travertine. Two suites have private gyms, Turkish baths, or jacuzzis. Great food too. Romantic Break - Perfect for a grown up weekend away- make the most of the enourmous baths, private steam rooms and chic fine dining restaurant. City Style - A sophisticated design hotel in central Milan, sleek rooms exude elegance- think ebony wood furniture, ivory fabrics & leather. 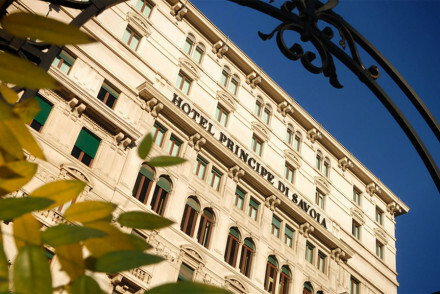 Sights nearby - The Duomo and Milan's Royal Palace are under five minutes walk from this central hotel. Elegance and homely charm congregate at this Milanese townhouse with a cool terrace bar perfect in the summer months. A home from home with a touch of zen - cream and brown decoration with splashes of colour from Oriental and African rungs and artifacts. Enjoy breakfast on your private balcony. Ultra cool, 21st Century designs in a super-central location. A classic facade encases a minimalist industrial aesthetic - burnished brass, polished concrete, glass and iron. Bedrooms are decked with black stone and shimmering brass bathrooms. A hip destination for those with creative sides. City Style - Vintage 19th-century facade meets urban interiors with oxidized copper, black slate with scratched mirrors and gauzed glass. Total relaxation - Well-being and Relax Rooms come with aroma and chromo therapy treatments as well as massage armchairs. Sights nearby - Museum of the Twentieth Century and the Duomo are within walking distance. Designer - By Italian architect and designer Vincenzo de Cotiis. Old fashioned luxury with an operatic history - the doyenne of Milan's five-star hotels just a stone's throw from La Scala opera house. Rich drapes, antiques and fine paintings fill the interiors, wonderfully opulent throughout. Traditional milanese cuisine and a popular bar. City Style - Rooms range from old school lavish with rich fabrics and antique furnishings, to art deco and deisgn- all with equal glamour. Sights nearby - A ten minute walk from the magnificent Duomo Cathedral and the 18th-century Royal Palace of Milan. 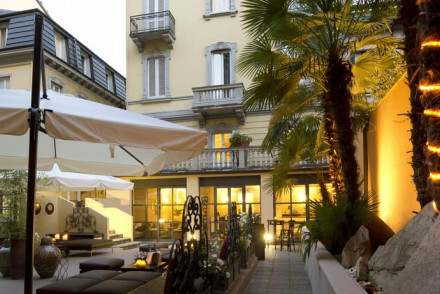 A classically grand Italian hotel in one of Milan's most fashionable districts, Brera. Large, light rooms offer up spectacular city views. Modern yet with traditional touches including stone fireplaces and marble clad bathrooms. Two excellent restaurants within elegant surrounds. A spoiling stay. 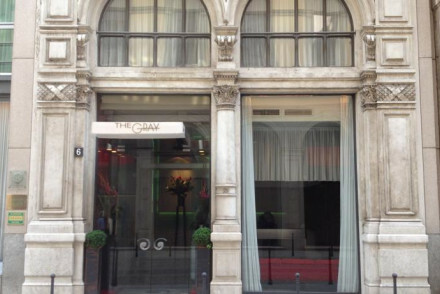 City Style - Milan style-granduer comes in abundance in this luxury hotel. Sights nearby - The cities' 14th century Duomo is not to be missed. 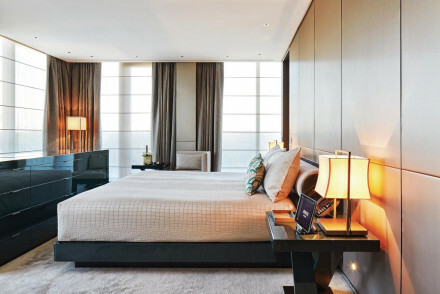 Featuring exclusive Armani style, this hotel blends slick inner-spaces with first-rate hospitality. The rooms' austere hues lend a refined feel to the minimalist decor. The chic restaurant serves local cuisine and the spa boasts an unrivalled relaxation area. An undeniably classy stay. Classic meets contemporary design in a fabulously central location on the doorstep of the most prestigious shopping streets. Serene and airy interiors - palettes of cream, beige and soft greys. Luxurious facilities include a spa and fitness centre, buzzy cocktail bar and good restaurant. City style. City Style - Unbeatable location, facing Galleria Vittorio Emanuele II, bold contemporary design pays homage to classic Baroque elegance. Foodies - The seven course tasting menu at Michelin stared VUN restaurant by chef Andrea Aprea, is worth a trip alone. Sights nearby - Steps from all of Milans most beautiful sights- Piazza della Duomo, the Teatro della Scala, and the Galleria Vittorio Emanuele. 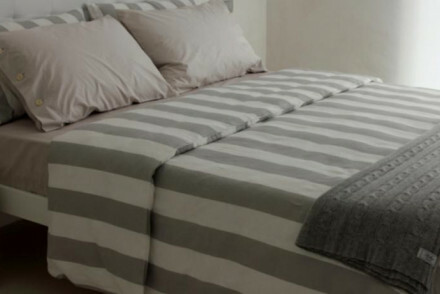 Designer - Designed by American-born and Parisian-based architect Edward Tuttle. City Style - Cutting edge interiors meet orginal features such as including frescoes, columns, vaulted ceilings and oval spiral staircases. Romantic Break - Oozing romance from every pore, with ortuny fabrics, deep soaking tubs, chic restaurants and effortlessly glamourous feel. Great walks - Walking Tours can be arranged and are a great way to see the art and architecture of Milan. Sights nearby - The Cathedral is only a ten minute walk away and is well worth checking out. Sleek glamour meets opulence and indulgence within Milan’s old city walls. Minimal interiors- black and white marbles, beiges and browns. Chic rooms have teak balconies, some overlooking the stunning 700 year old garden. Sensational spa, indoor pool and great food. Favorite haunt of Milan's elite. Romantic Break - Romance is in the air- think couples massages, deep soaking tubs, candlelight meals under the stars in the fragrant gardens. City Style - The epitome of style- with black marble and granite, bronze, teak and oak fittings, spectacular gardens and palatial suites. Great walks - The hotels impressive gardens are infact an extension of the next door Botanical Gardens, well worth a wander around! Sights nearby - Explore the Brera area in style with a hotel luxury car service.